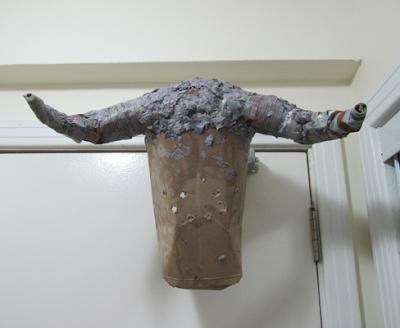 This year, for Halloween, awesome paper-craftster Jacob (and my hubby) and I decided to go for a Greek mythology monsters theme. 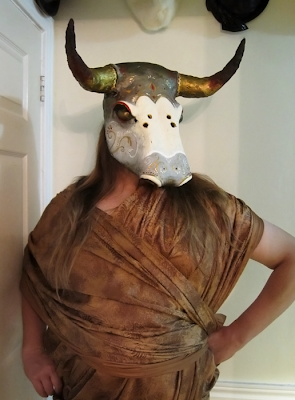 However, we were a bit underwhelmed by the usual plain toga idea so we thought of mixing other cultural elements to the costumes. I picked a Kabuki-inspired Medusa and he went with a Venitian carnival Minotaur. 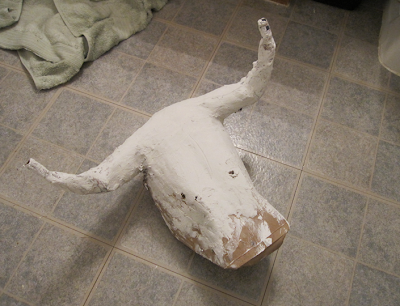 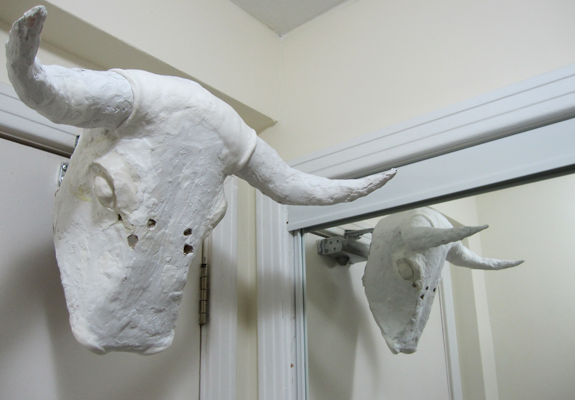 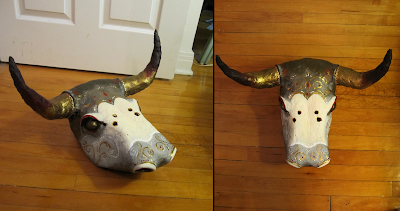 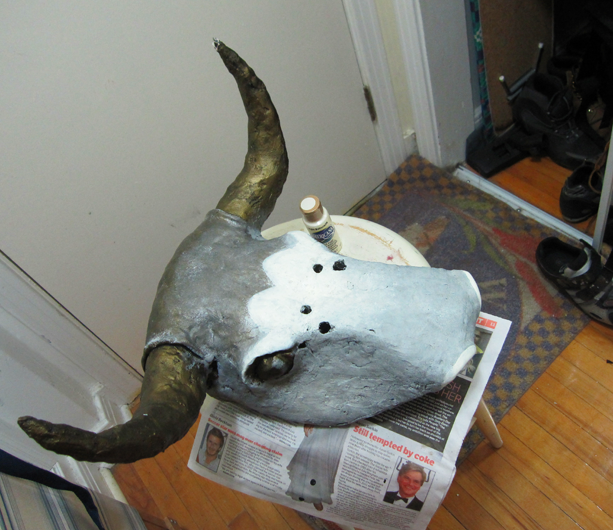 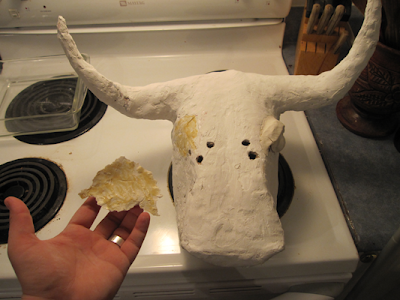 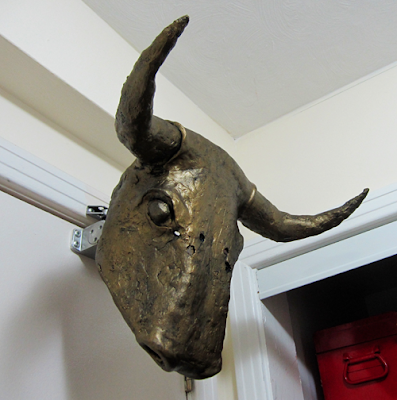 And here's the final Venetian Minotaur mask! My Medusa costume is coming along well; kimono, snake-wig and all... Pics coming soon! Wow, gorgeous! 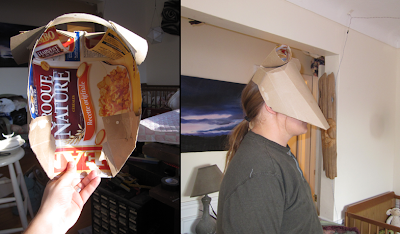 I might have to try something like this with my butterfly head idea. Great work! 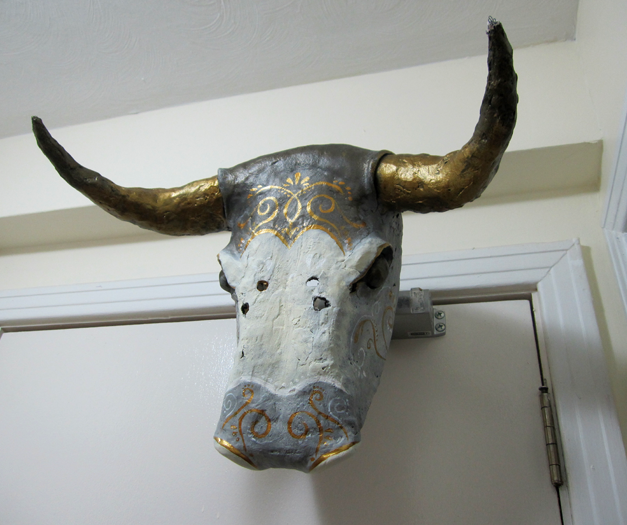 quite impressive. 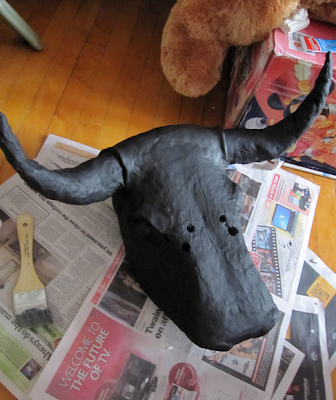 you're a genius .. the bull mask looked solid and made of wood ..